Main concentration spot of the developing infrastructure is believed to be Issyk Kul lake. Flowing high in the mountains, it has as many as two ‘trumps’ relevant for tourists. On the one hand, it is an indescribable beauty: crystal clean water and soft sand beaches surrounded with mountains where cascades of trees grow, spiralling up from feet to be gradually replaced by tops eternally covered in snow. On the other, there is curative water that doesn’t freeze even given frost of 20 degrees Celcius. People used to think that it remains liquid (when it was high time to be skating on it) due to its high temperature. This is why the water basin was called Issyk Kul – it translates as a “warm lake”. But this distinctive, as it turned out later, is determined by high salt content. It is its evaporation in combination with rarefied mountain air that create healthful atmosphere. One can feel it after checking in one of local hotels or health retreats that offer a whole range of services starting from respiratory procedures to pools with curative components. 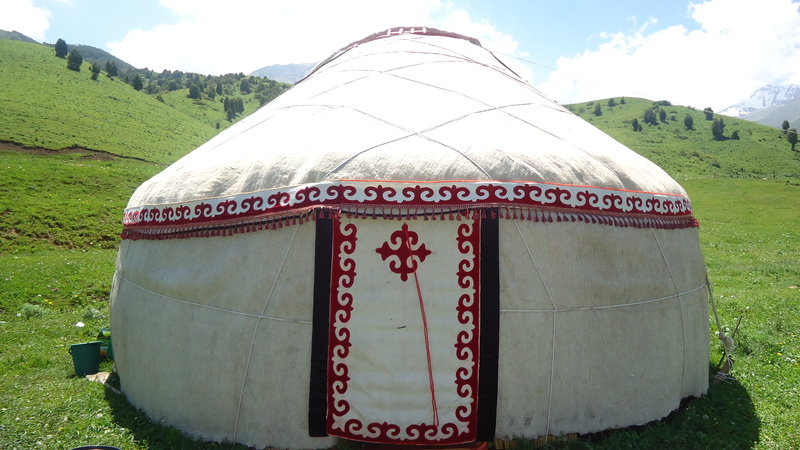 For the unwilling to join the ranks of resort visitors, who opt for taping into experiencing Kyrgyz traditions, there is a yurta camp made on the bank. In summer season air here gets filled with the smell of barbeque amd folk songs to the accompaniment of komuz (national musical instrument, guitar’s relative) can be heard from every campfire. Thus any guest of the country can happen to be among Kyrgyz people and Kazakhs who come here to rent a shelter. In summer yurtas preserve coolness and in cold periods thank to time-tested ventilation system a fire can be set inside right on the floor. There it is, authentic household of mountain people! Kyrgyzstan is a small state so in order to get from one end to the other a couple of hours of drive are enough. Collecting impressions from local nature and traditions is possible when simply travelling about the country and visiting different settlements or by asking Kyrgyz people what is worth seeing. They are very talkative and will willingly tell you where and why to go, and every second one is sure to suggest you go to the South from Issyk Kul to Jeti-Ögüz gorge also known as Seven Bulls Rocks. The place is situated 28 kilometers away from Karakol city, it is it that the way to mountain areas lies through. If you want to obtain even more impressions of Kyrgyzstan, find out when there is a market day in Karakole. Local trading stalls rows aren’t conventional, especially for tourists from cities, because the main vendible here is livestock. Inhabitants of all ages (kids-vendors who haven’t yet become 10 years old are no rarity here) come from every neighboring village to sell or buy fowl: cows, horses, yaks and sheep– after carefully examining their horns, hooves and hair, of course. Speaking of sheep, you’ll come across this animal everywhere: in live form, cooked and as “clothing”. 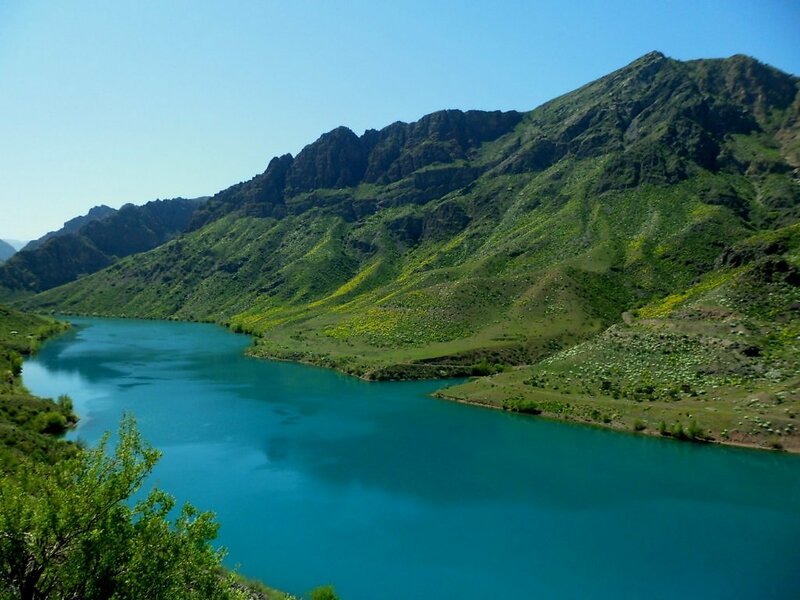 After visiting Karakol let’s head to the most beautiful site of the country – to Jeti-Ögüz gorge. In order to see with our own eyes the greatness of seven huge red rocks standing one after another, that are in total accord with a white mountain peaks visible in the background, tourist wade mountain river exhausting their feet.